If you know me by now, you'll know how much I love doing my nails with my favourite nail polish. However, I don't always have the time, or the patience, to sit and wait for each coat to dry for my perfectly manicured nails. I've always wanted to try nail art, but me doing something that fiddly would most probably end up a disaster. 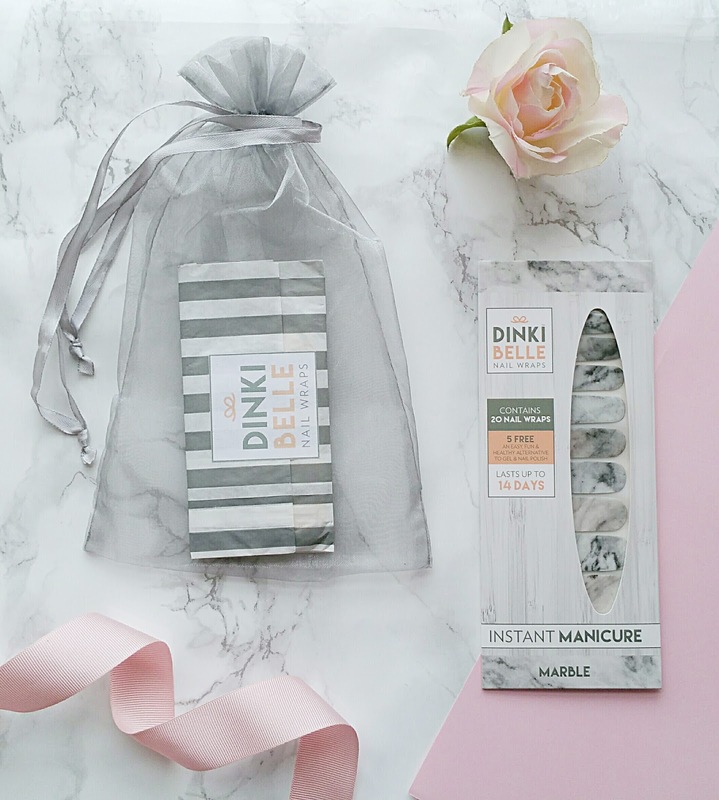 So you can imagine how excited I was when I got hold of a set of Dinki Belle Nail Wraps. I've been so excited at the thought of trying out a sheet style mask ever since they came on the beauty scene a while back. They are wonderful little masks full of amazing ingredients and promise to give super hydration to the skin, which is just what I need when we're going into a new season where my skin can start to feel a little bit drier than it normally does. 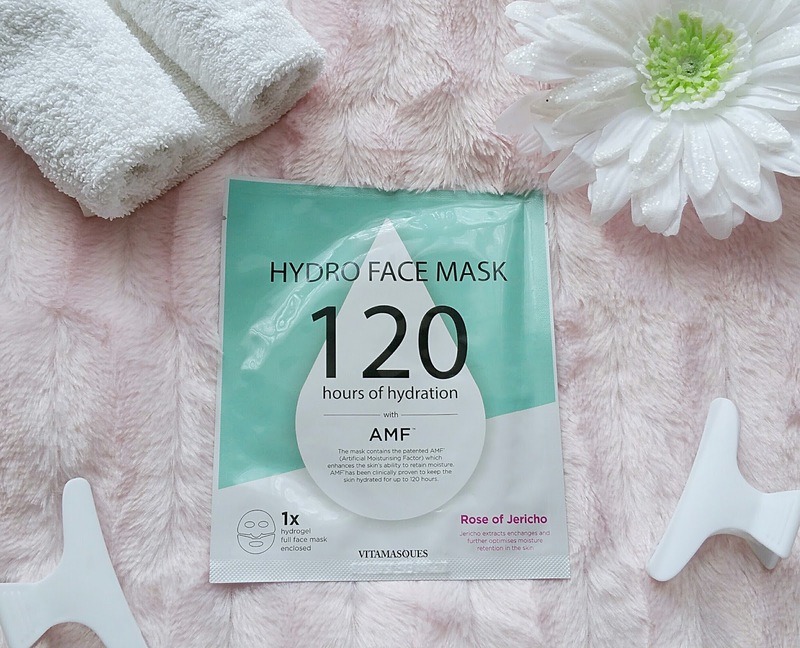 The Vitamasques Hydro Face Mask has been designed to give super hydration thanks to the Artificial Moisturising Factor (AMF) which enhances the skin ability to retain moisture for up to 120 hours, that's nearly a whole week! It also contains extracts of Rose of Jericho for an extra moisturising boost, which is fabulous if you're like me and can suffer from dry, dehydrated skin. Well, here we are again, another month has passed by and I'm searching through all of my beauty products to see what I've really enjoyed using the most throughout September. Can you believe that Summer has been and gone, and we're now going into Autumn which I'm really looking forward to so much this year, it could be my new favourite season. My pumpkin candle has already been lit a couple of evenings this week and I've been eyeing up all the gorgeous new coats and knitwear that are in the shops right now. And I've even been making plans for Christmas, which is so organised for me it's unreal! One thing I can't bring myself to enjoy is a Pumpkin Spice Latte, yuk, it's just too milky for my liking, no I'll always be a cappuccino girl! 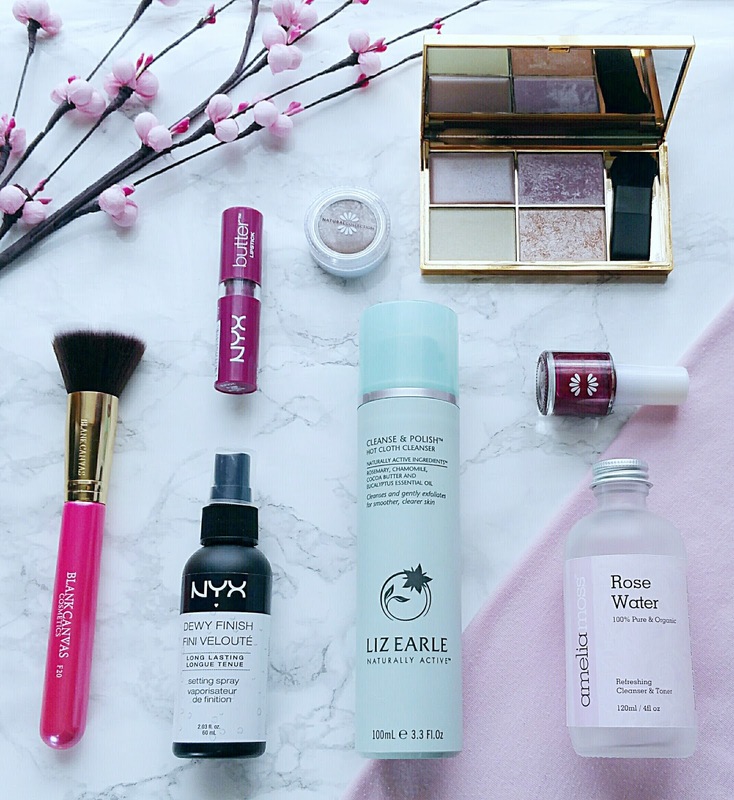 I have a lot of new additions this month so I'd better stop chatting and talk you through what's made it into this month's beauty favourites. 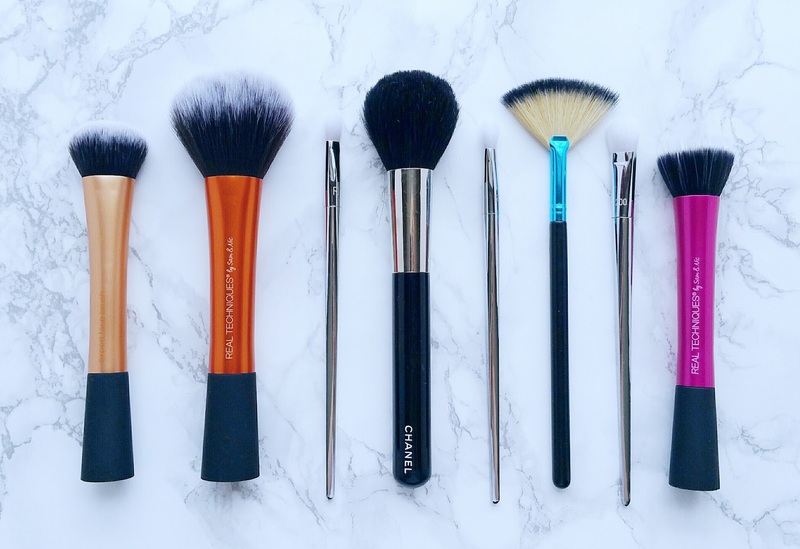 Does anyone really love cleaning their makeup brushes? It can seem like a real chore but I do try and clean mine at least once a week, however I will admit to sometimes using a dab of makeup remover on a cotton pad to wipe over the brush, especially if it's been a busy week and I've just not had time to clean them properly or I want to use my favourite blending brush for a neutral eye shadow and it's still full of yesterdays dark smokey eye shades. I know, surely there's an easier way to get just one or two brushes clean and without going through all the hassle of waiting for them to dry afterwards? Quite a while ago I discovered that I really enjoyed shopping in Poundland, you can safely say I am slightly addicted to it. I find it's a great place to pick really good blog props, branded beauty products, cute homeware pieces and even my basic stationery items. However, I've never been brave enough to try their own make up brand, Make Up Gallery apart from the odd nail varnish. 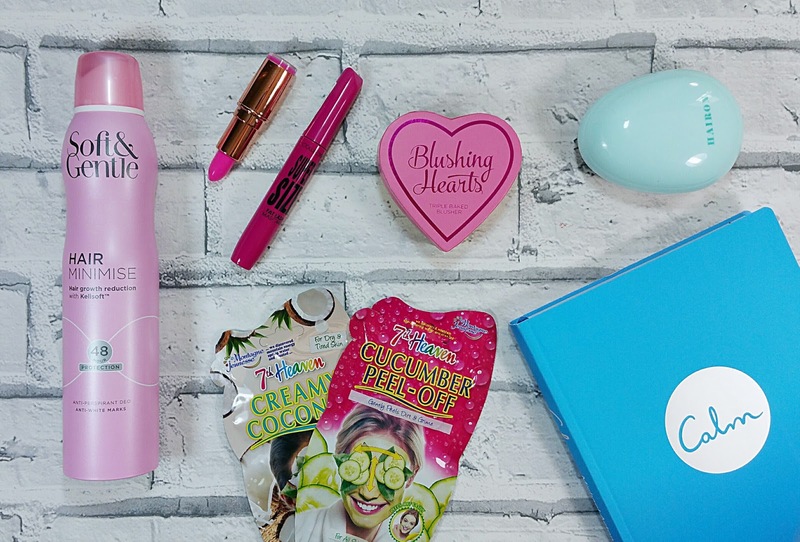 Last month I was in Poundland stocking up on beauty basics, tissues and cotton wool, oh and I'd even picked up some sweet treats for a movie night, and there right near the tills was the Make Up Gallery stand. I actually went over because I'd been looking for a yellow nail varnish but sadly they didn't have one, yet it got me thinking, would the other products in this £1 makeup range be any good? So after much deliberation as to whether or not to try it and looking through their vast range of products, I finally decided on a few items to take home with me and test out. So here's what I got. I first starting looking after my skin a number of years ago now, but before that I'd just slap on the first thing I had to hand and didn't really think about what I was putting on my skin or the effects it would have. 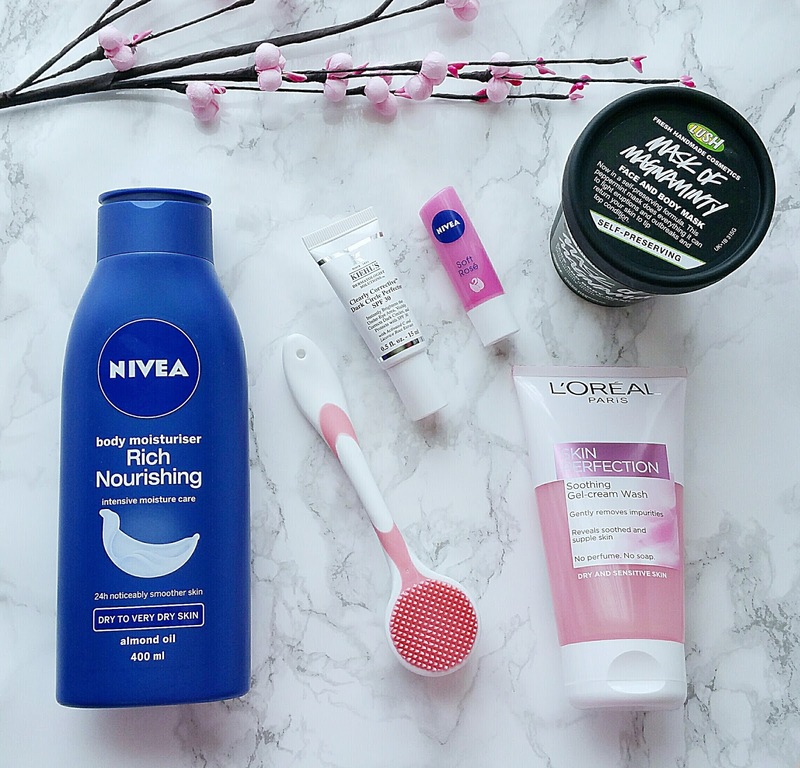 I really want to keep looking after my skin and continue to have a good routine, using the right products for my skin type which is also really important to me. 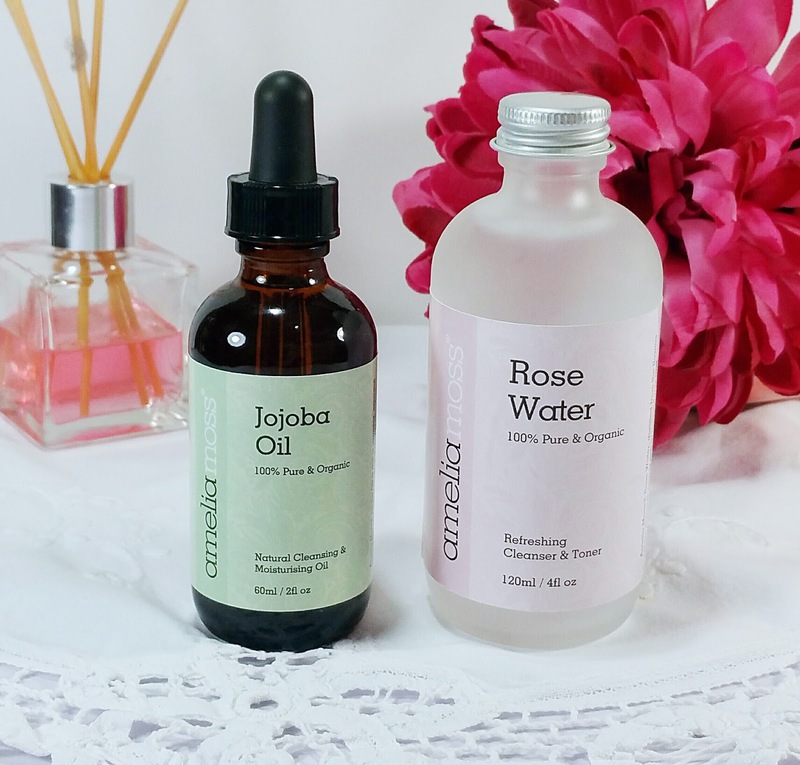 I've been looking more at what goes into a product and what benefits it will have on my skin so when Amelia Moss got in touch with me to talk about their 100% natural oils I was keen to learn more and they very kindly sent me their Jojoba Oil and Rose Water skin toner for me to try. All of their products are multi-purpose, you can use the oil as a cleanser, moisturiser and even work some through your hair to help combat dryness. I love this really simple, yet very effective, skincare routine from Amelia Moss. The brand has five different oils and they are all completely natural and 100% pure and organic, straight from the nut or plant, so you really know what you're actually putting onto your skin, there aren't any nasty surprises. I hope you've all had a wonderful month since my last monthly favourites post. Normally I'm sitting here writing how fast the month has flown by, but for me August seemed to have dragged on forever. It's been a funny month with a real mix of emotions, there have been times when I've felt really happy and other times I've just felt really down after a few stressful things that have happened. On the whole though, things are going quite well at the moment and I'm hoping it stays that way. So I'll get straight into talking you through my beauty and lifestyle favourites from August. Very often it's the simplest of things in life that make me happy. Those little things that I can sometimes take for granted and other times I've had to raid my penny pot in order to have a little treat! Well, a girl's got to have a few treats, right? I've always loved writing and have kept a diary for years where I've written down what's made me happy on that particular day, as well as what's made me really angry or upset. It was while I was reading through some old teenage diaries a few weeks ago that gave me the inspiration for this post, so I thought it would be quite nice to share what things make me happy throughout the year. I'm slightly obssessed with beauty products and when something as gorgeous as my monthly Glossybox arrives in the post I do tend to get a little bit excited. Normally I'd tear straight into the box without even thinking about photos or a blog post as I'm way too impatient and can't wait to see what's inside. So I thought that this month I'd share my first unboxing post with you and let you have a sneaky peak of what came in the August Glossybox (sorry - Spoiler Alert!!). It's Glossybox's 5th birthday and to celebrate this month they've joined up with the luxury accessory label Rae Feather to give subcribers a special collectors edition, including an accessory exclusively designed by the brand, and the packaging is definitely different to their usual pink and black style. 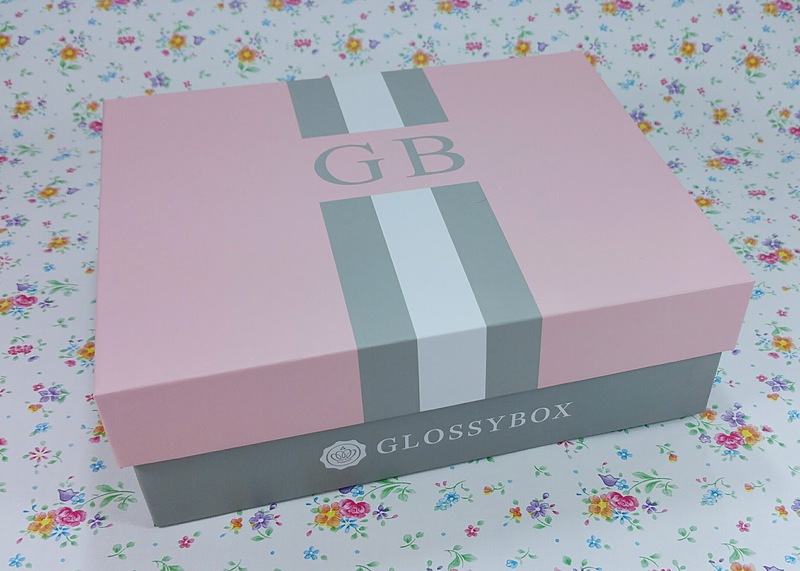 Glossybox is a monthly beauty subscription service and inside each box there are 4 to 5 carefully selected makeup, hair, body or nail products from well known or new brands. So let's see what's inside. I've been having my hair colour treated and using heated appliances for years and it's really taken it's toll on the condition of my hair. Don't get me wrong, I love my long hair and I will never have it cut short but it can be a real pain to maintain sometimes. I did have it cut to about shoulder length once and I really regretted it afterwards, then spent months moaning about it until my hair finally grew back to a length that made me feel like me again. My natural hair colour is a kind of strawberry blonde, so I'm not really very adventurous when it comes to dying it different colours though, I've just gone a lot blonder. The only time I have ever seen myself with dark hair was when I wore a black wig for a Halloween party I went to and I'd dressed up as a witch, it seemed so weird, but I had such a brilliant night that it was worth it! 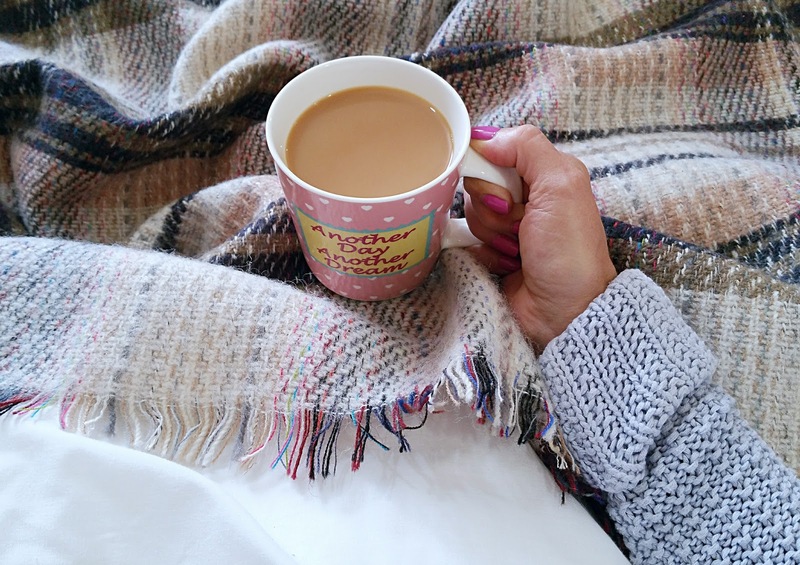 I thought it was about time I did a whole post that was purely about my haircare routine and for those of you with dry, colour treated hair, this may be of some help. 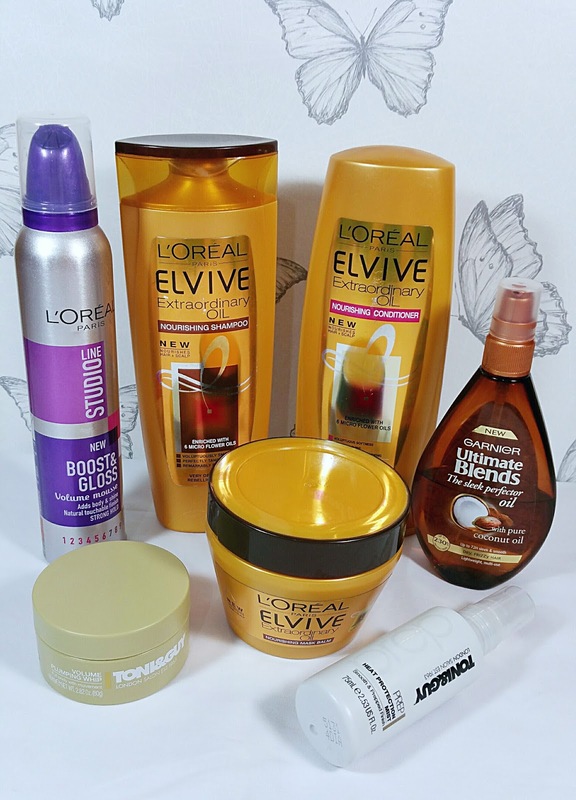 All of these products are ones that I've found to work well on my hair type and keep it in good condition. Some of them are old favourites, a couple are new discoveries but these are the hair products that I'm currently reaching for every week. Yes, it's time for the monthly favourite post again! I have a few makeup items that I've just really enjoyed using and a couple of lifestyle things that have made me really happy this month. So I'll jump straight to it. Every morning and evening I like to do a full skincare routine as not only am I looking after my skin but I find it's almost like a mini pamper session and very therapeutic, especially at end of a long day. One of the products I love to use is a serum, which I've mentioned a few times in previous posts. I've been using one for a while now and have noticed what a big difference it has made to my skin's appearance compared to applying just a moisturiser on it's own after cleansing and toning. 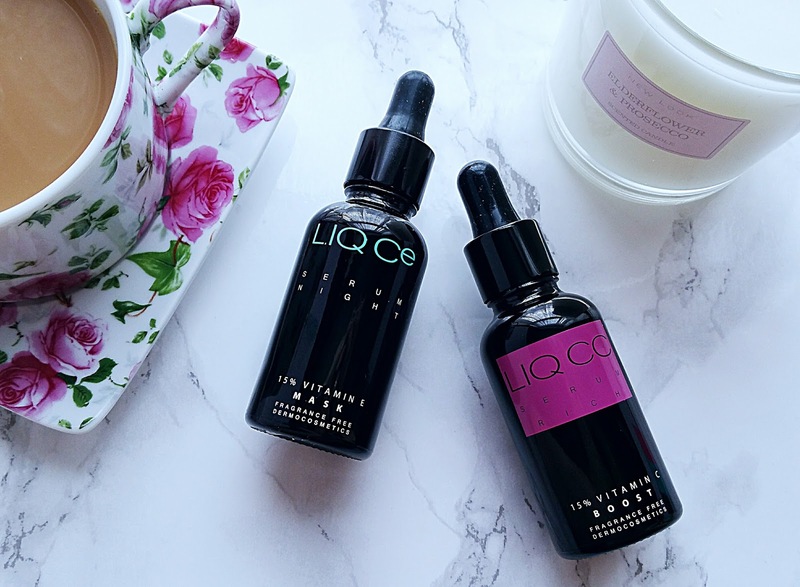 A serum has helped with a whole host of skin problems from giving my skin a bit of a boost to brighten it up and to give it some much needed re-hydration. For me another area I worry about are the signs of getting older. I know this is something that I can't stop (oh if only!) but by using a serum it has helped with any fine lines I do have and hopefully keep it looking younger for just that little bit longer. 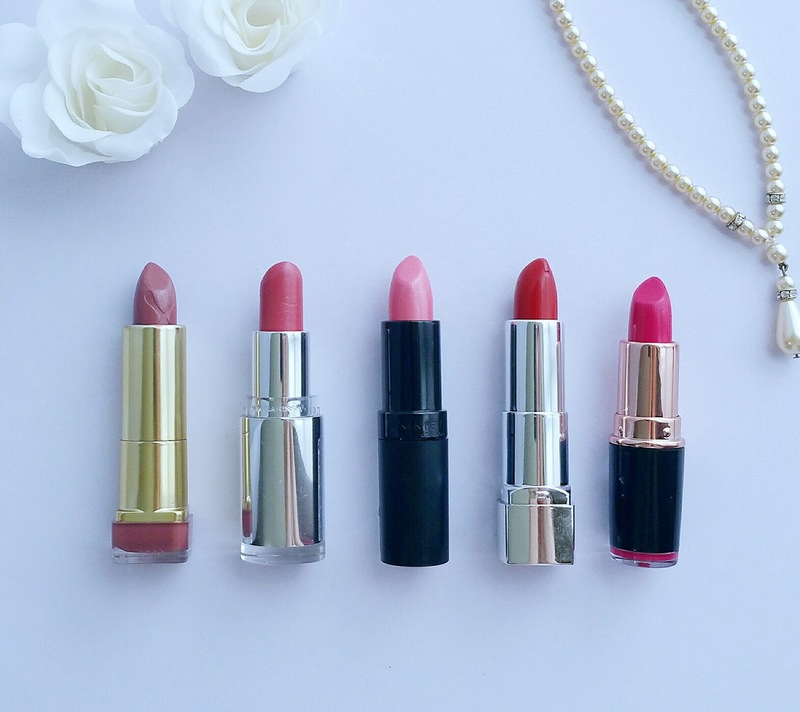 A good primer is one of those products that I just love having in my makeup bag and with so many around it's hard to know which one to choose. Some primers claim to hide your pores, some give you a matte finish or a lovely super glow and some actually give your makeup a little extra staying power. Using a primer was something that I never really used to bother about until recently, now that I do I've noticed a big difference with how my makeup looks and lasts. 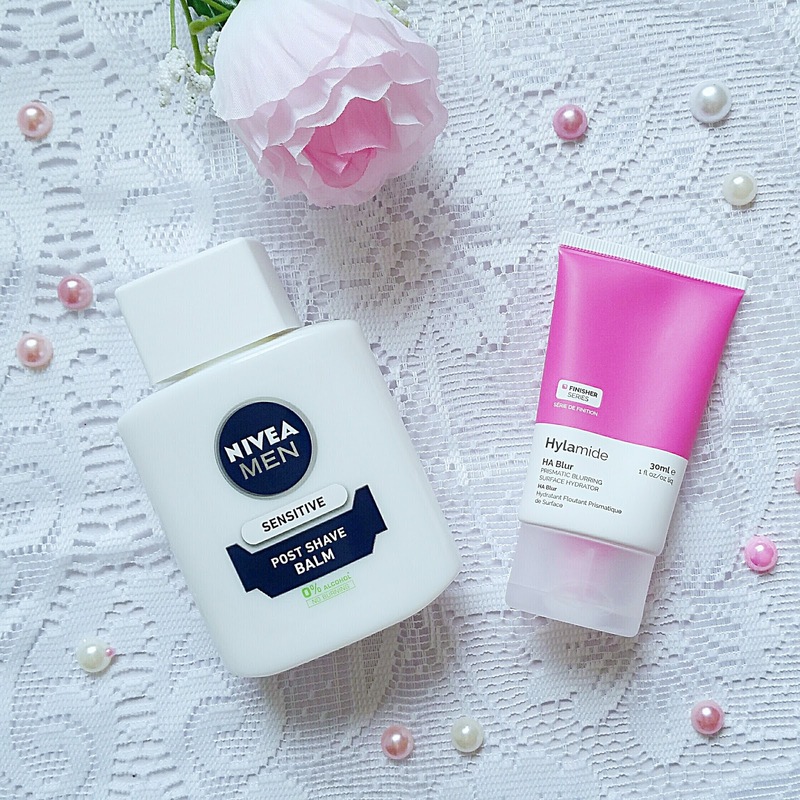 There are two main primers I've been testing out recently and I'm sure, like me, you've probably seen both of these talked about a lot. So I wanted to see what all the fuss was about. Here's how I got on. Cleaning my make up brushes is one of those jobs that I know I need to do but it can take forever and sometimes it can feel like a real chore. I know it's good hygiene to regularly remove all the oil, make up residue and dead skin cells (sounds disgusting doesn't it!) and with some brushes not being cheap I also want to make them last longer and get my money's worth. Normally I'd clean my brushes using my hands and some baby shampoo, occasionally a tiny drop of baby oil first on sponges and brushes that have been used for foundation or concealer as it helps break down the build up of product. So when I came across Real Techniques brush cleaning palette a while back I thought it was just one of those things that I didn't need and that there were other things to spend my money on. I saw more and more people using them and saying how good they were by saving them so much time with this weekly chore. I had a moment of weakness and ended up buying one. It only seems like yesterday that I was writing last months favourites post and I can't believe we're here again already! 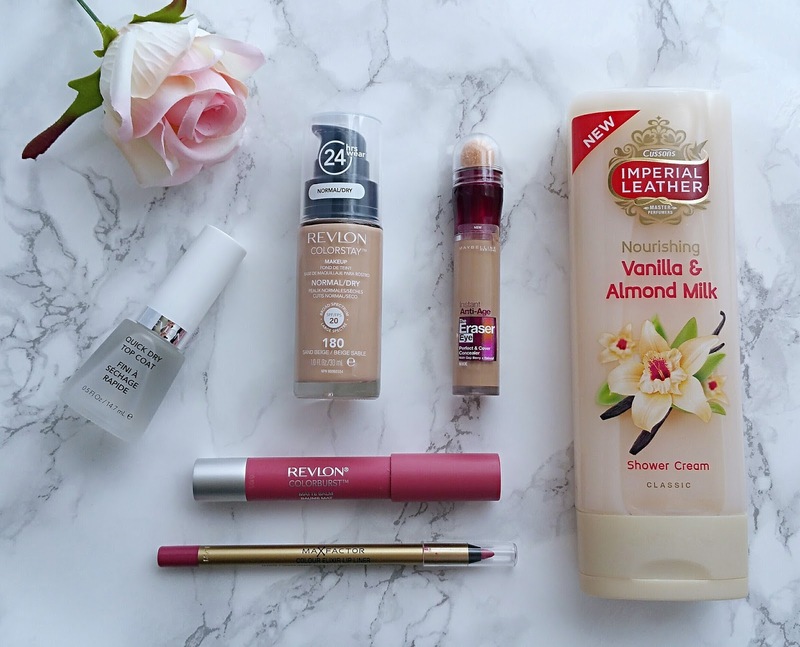 Now I've talked a lot about my favourite makeup products recently so I wanted to concentrate more on what skincare products I've been absolutely loving during June. I like to take care of my skin all year round but while we are in the warmer months there's more of it on show due to wearing lighter clothes with short sleeves or open toe shoes and using lighter makeup products too. Although we haven't had too many really hot days so far, you just never know and I always like to be prepared, just in case! 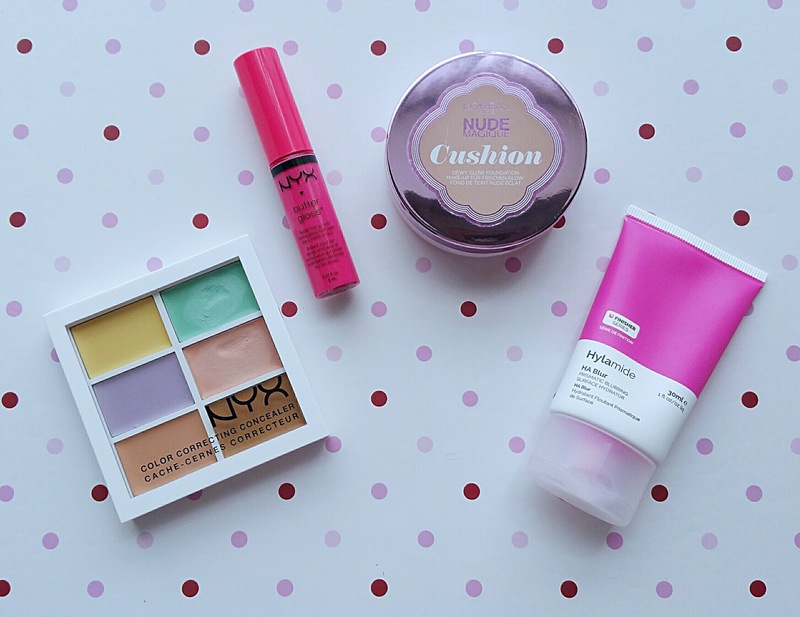 So, lets get straight on with this months beauty favourites. I have quite a collection of everyday colours, but there are times when I like to pop on a brighter colour such as an evening out or just because it's a sunny day and I feel like wearing one. 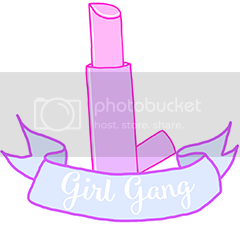 There are also days when I just like to stick on a clear lipgloss or a lip balm, usually when I'm at home or I've over slept in the morning and haven't got time to put on a nice glossy lippy. I've been having so much fun playing around with different lipstick shades lately. However it did go a bit wrong the other day as I bought a deep plum lipgloss which I'd swatched on the back of my hand whilst in the shop and thought ooh that's gorgeous. Unfortunately when I got home and tried it on my lips I realised it was completely the wrong colour for me. Oh well, you live and learn! So I gave it to someone who I know will get far more use out of it than it being sat in my draw for the rest of eternity. If you're following me on Twitter already you may have seen that a few weeks ago I mentioned I'd been into town and treated myself to a few things. I usually get really excited when I end up coming home with some pretty new products to play around with. I also picked up a few items to replace ones that were almost finished. My local Superdrug is one of their smaller stores as I live in a quiet little town in Hertfordshire. I do have the option of going to their Stevenage store which has a much larger range of brands in stock, and of course I can always shop on line. 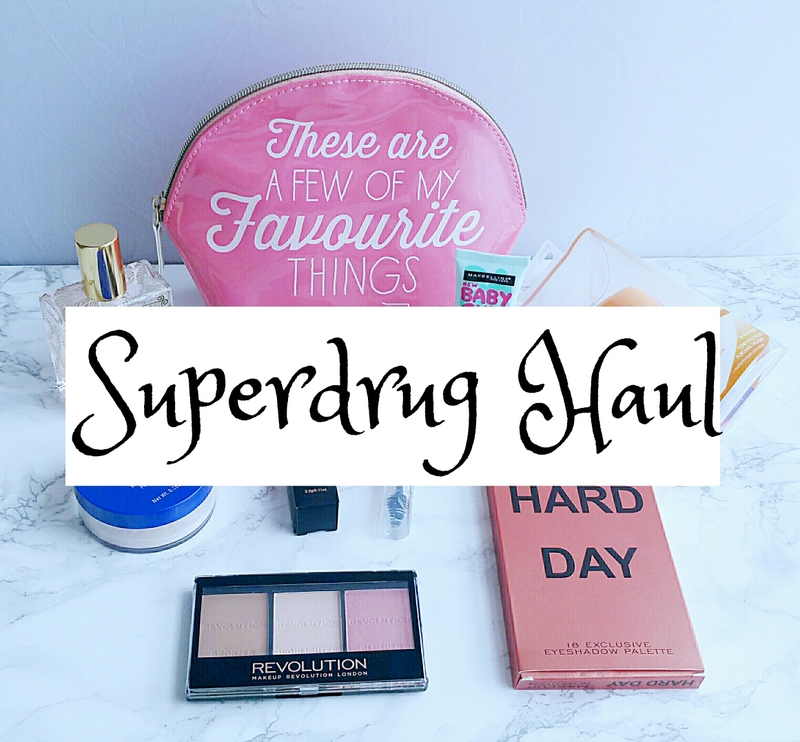 I've not done a Haul post before but I actually love reading them on other blogs or watching haul videos on YouTube so I thought I'd show you what items I picked up. 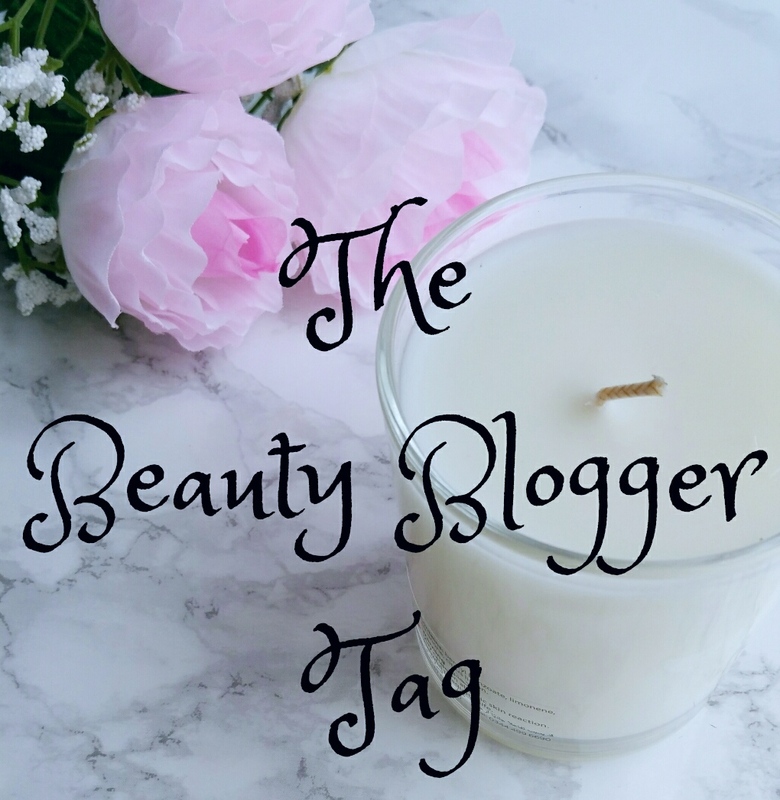 Last week I was tagged by Sarah from Writing Rambling to do The Beauty Blogger Tag. I've not done a beauty tag before and it's one I'd love to do, all you have to do is answer the questions. So I won't waffle on too much and get straight to it. 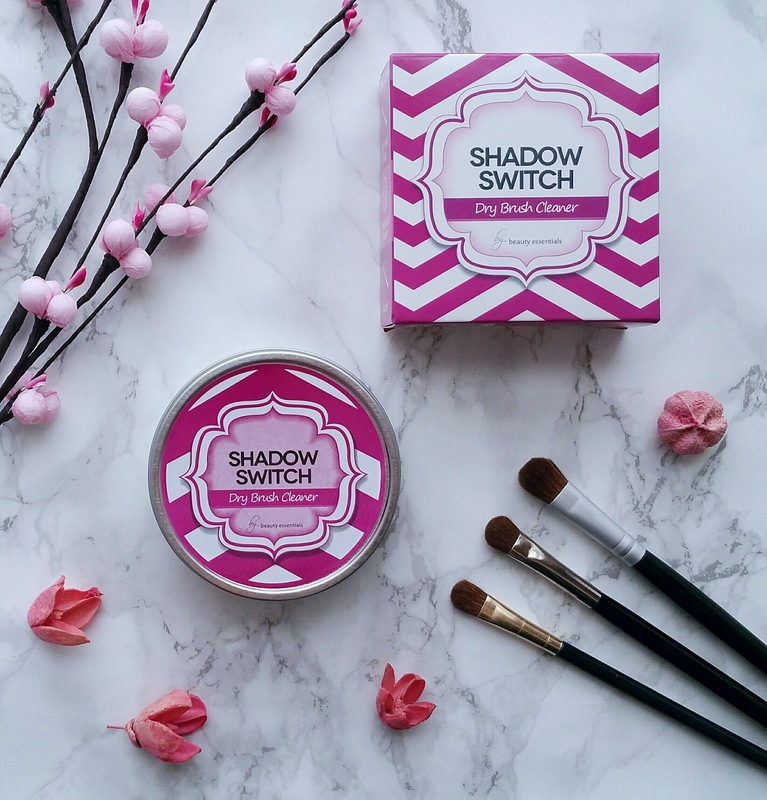 I thought it was high time I got a new blusher as this is one thing I don't seem to have enough of, so while I was in town a few weeks ago I popped into Superdrug to check out what they'd got. I'm already a fan of Makeup Revolution as I have a few of their eyeshadow palettes, which I absolutely love, and I'd been wanting to try a few more of their products for a while so of course I was immediately drawn to the Makeup Revelution section first. I'd decided on getting a powder palette and not the cream as I'm not particularly very good at applying cream blushers, or maybe I just need more practice! 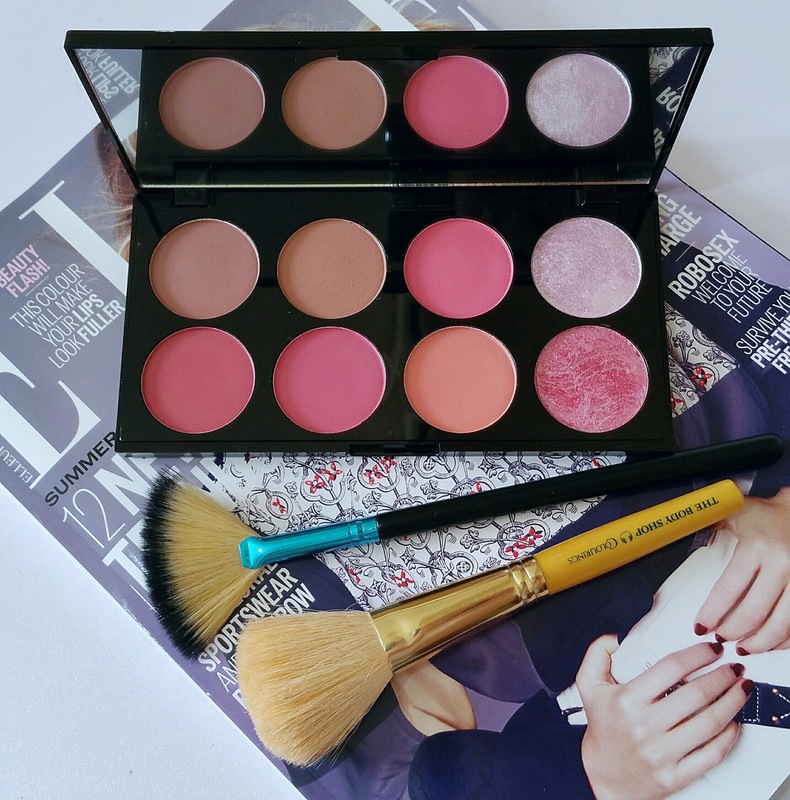 I was expecting to purchase one or two single blushers but the Sugar and Spice colour palette caught my eye immediately as I think the pretty pink tones seem to suit my skin tone and hair colouring. Well what an exciting month May has been. I've been out and about with my husband for those long walks that we both really love and find so relaxing. I've been on a few lunch dates with friends who I haven't seen for ages, plus I went for a coffee date with another friend who I'd not seen in 5 years as she'd moved away but we've kept in touch, so while she was down this way visiting her family we thought it would be a great idea to have a catch up. To end the month off I went to a friend's daughter's 1st birthday party where I ate far too much food and even attempted to sing Happy Birthday! So Monthly Favourites time again, yes I know, it does come round so quickly! I've been trying a few new products this month and these are the ones I've enjoyed using the most. rosieloveslife.blogspot.com. Ethereal theme. Powered by Blogger.